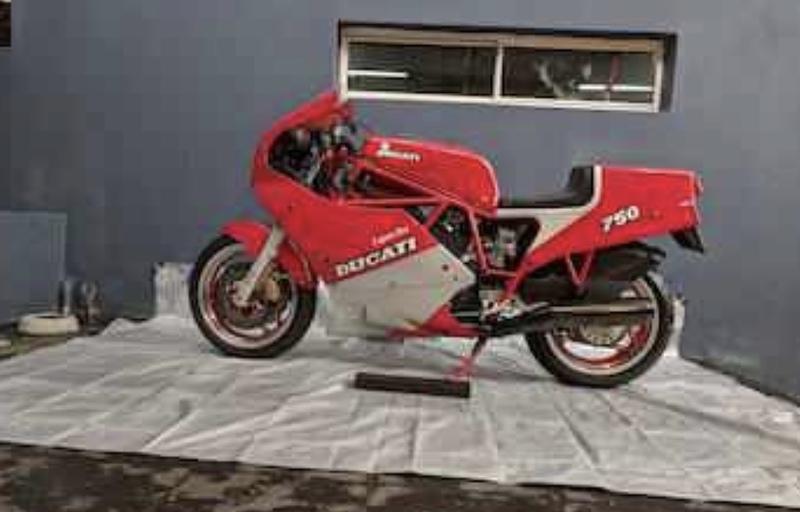 Lot 165 at the upcoming Bonhams auction in Las Vegas is this 1987 Ducati 750cc F1 Laguna Seca. It’s a beautiful example of sought after model,and it’s only covered 11,000 miles from new. 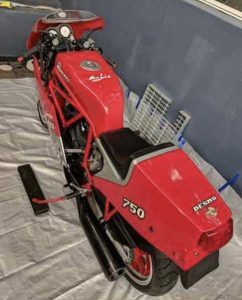 With Ducati now entering a new chapter with their new V4 Panigale model, what better time to remind ourselves of a time when Ducati built bikes that rung every last bit from their iconic air cooled L configuration twin cylinder engine. 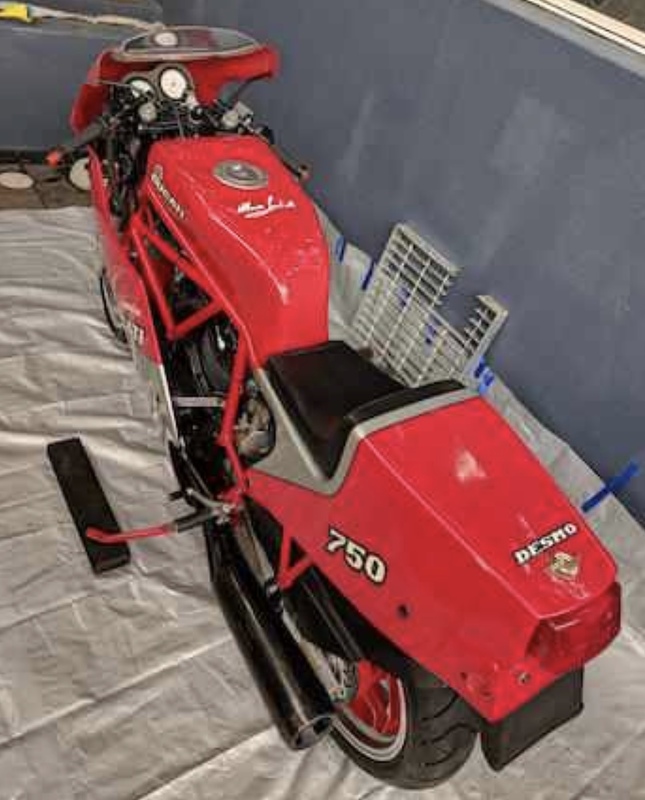 Here’s all the info you need to know about this Ducati 750F1. 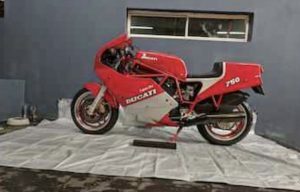 Considered by many enthusiasts to be the last of the ‘real’ (pre-Cagiva take-over) Ducatis, the race-styled F1 first appeared in 1985. 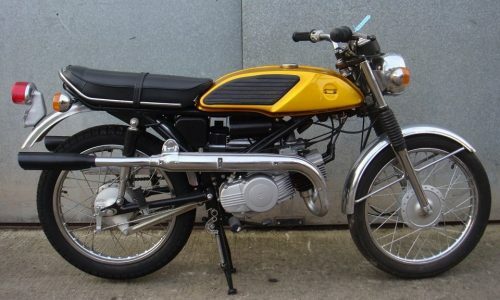 First seen in prototype form in endurance races in 1983, the F1’s 750cc engine was the latest in a long line of stretches applied to the original 500c ‘belt drive’ desmodromic unit that had first appeared in the Pantah in 1979. A markedly over-square unit of 88×61.5mm bore/stroke, the F1’s engine produced around 60bhp and functioned as a stressed element within the frame, the swinging arm pivoting in the rear of the gearbox cases. 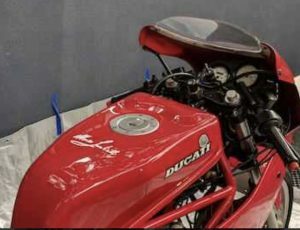 Clearly visible above the deliberately cut away fairing sides, the aforementioned frame attracted almost as much attention as the engine: a trellis of short, straight tubes, it has formed the basis of every Ducati since, including the Desmosedici Moto GP racer, until the Panigale era. In the fashion of the day, the F1 came with a 16-inch front wheel, while braking power was provided by state-of-the-art triple Brembos. 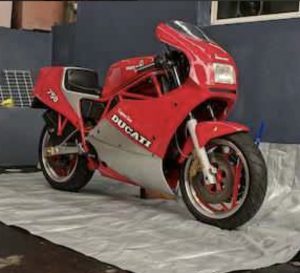 The stock F1 was complemented by a series of hand-built limited-edition race replicas – Montjuich, spelled Montjuic by the Spanish (launched in 1986), Santamonica and Laguna Seca (both launched in 1987) – the last being named in honor of Marco ‘Lucky’ Lucchinelli’s famous Battle of the Twins victory at Laguna Seca in 1986. 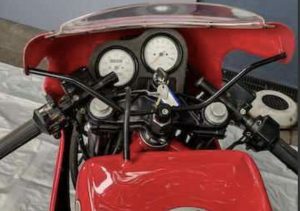 Based on the works racers, the Laguna Seca (much like the Montjuich) came with bigger Dell’Orto carburetors, higher compression ratio, bigger valves, and straight-cut primary drive gears. And talk of as much as 95bhp at 10,000rpm. But unlike the Montjuich, it came with a larger, quieter muffler. There were some small changes between the two bikes, namely in the Laguna’s adoption of parts from the new ‘all enclosed’ Paso roadster. 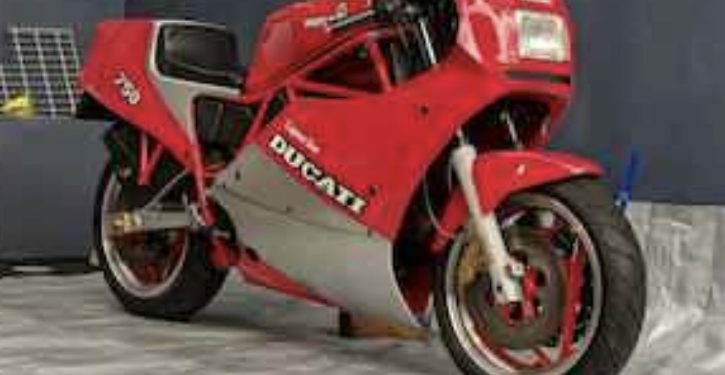 The delta-spoked one-piece 16-inch Oscam wheels and the brake discs, but not the front calipers which were four-piston ‘racing’ Brembos, came from the 750 Paso, as did the wider front fender. 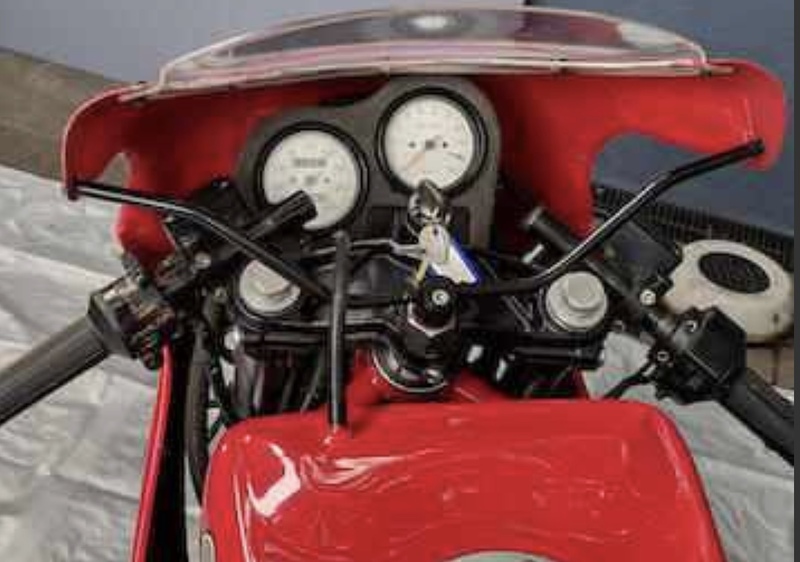 Other changes included a steel gas tank (but with a ‘Lucky’ signature decal), revised foot peg bracketry and a plastic rear sub-fender attached to the swing arm. Most Laguna Secas came with a solo seat but some had a dual seat installed instead. 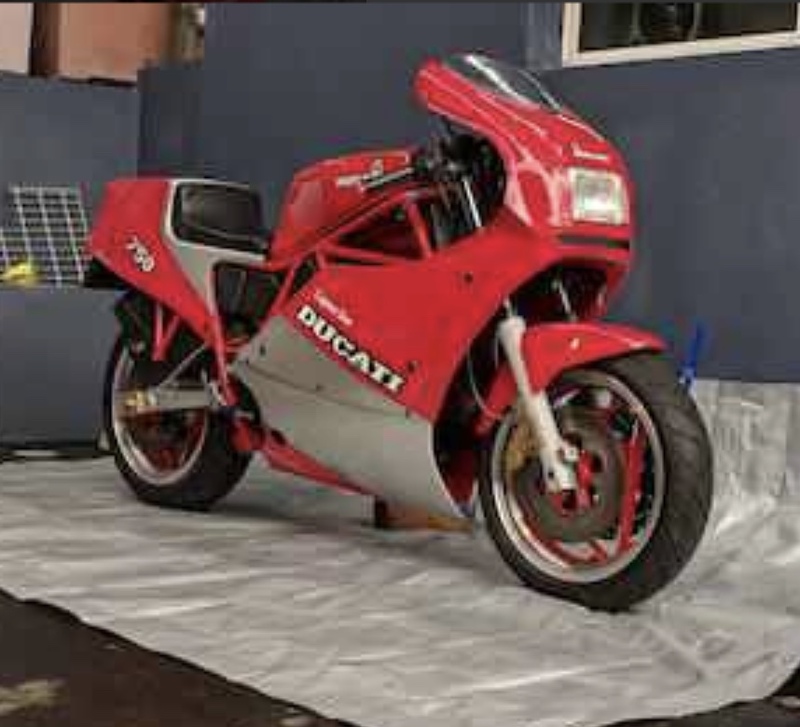 Built in limited numbers (believed to be as few as 296) and priced at around 25 percent above the stock F1, the Laguna Seca was one of the most exclusive motorcycles of its time and today is highly prized by Ducati collectors. This pristine example was originally exported to Australia where it was well cared for and enjoyed for 11,000 miles. A rare opportunity to acquire a limited-edition F1. 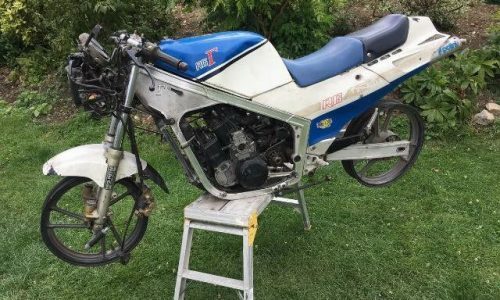 Suzuki RG Gamma – Kill or Cure?